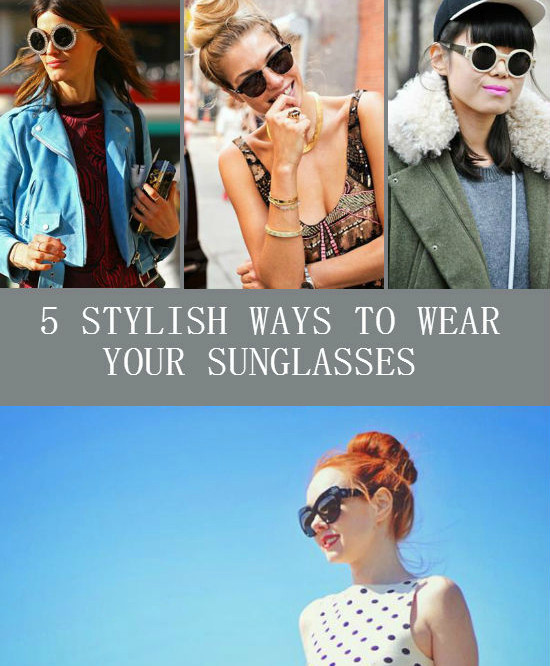 guest post:5 Stylish Ways To Wear Your Sunglasses! 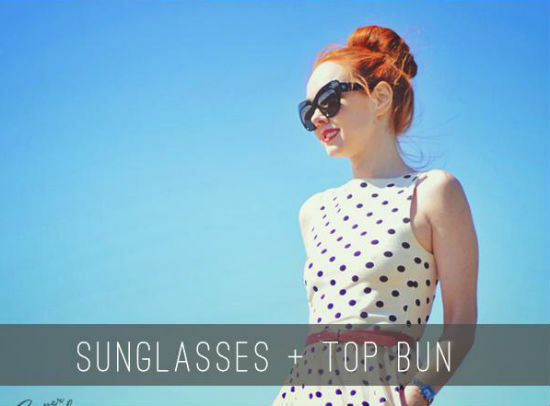 | submarines and sewingmachines: guest post:5 Stylish Ways To Wear Your Sunglasses! 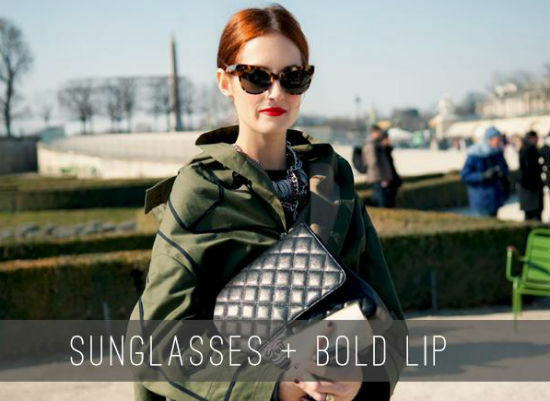 guest post:5 Stylish Ways To Wear Your Sunglasses! 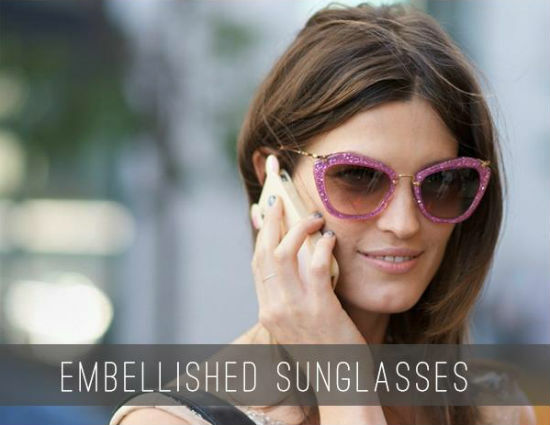 Even though we all know sunglasses are mainly meant for protection, we can’t help but love them for their fashionable side as well. They look so cool in the hundreds of different styles out there, it’s getting harder and harder to decide which one to choose and how to wear them. When in need, we always turn to street style blogs for inspiration - and so we found some fresh ways of wearing sunglasses this summer. 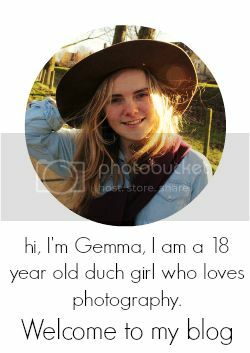 this is a guest post by Daria P., a freelance writer/social media enthusiast, living in Romania. 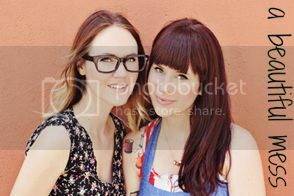 She loves all things cute: cats, fit-and-flare dresses, bikes, novelty prints, foxes, breakfast food, travels, Vespas etc! She is a contributor for CelebritySunglasseswatcher.com and GlassesOnWeb.com. 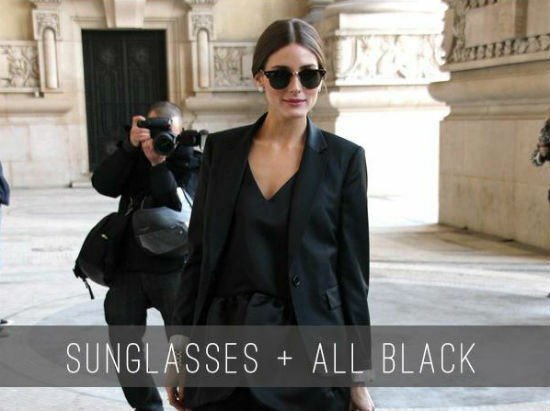 I always like black stylish sunglasses. Girl are looking so pretty. 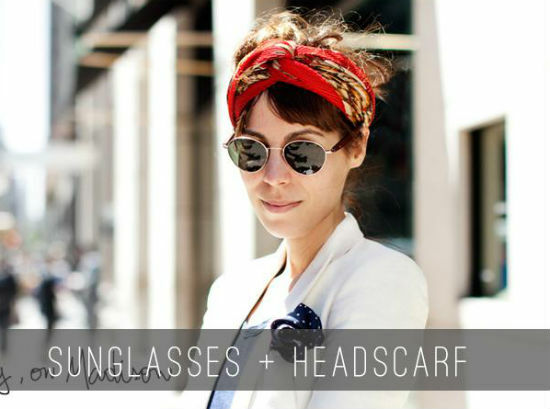 I liked Sunglasses + Headscarf, all the sunglasses seems fantastic. Thanks for share!! !